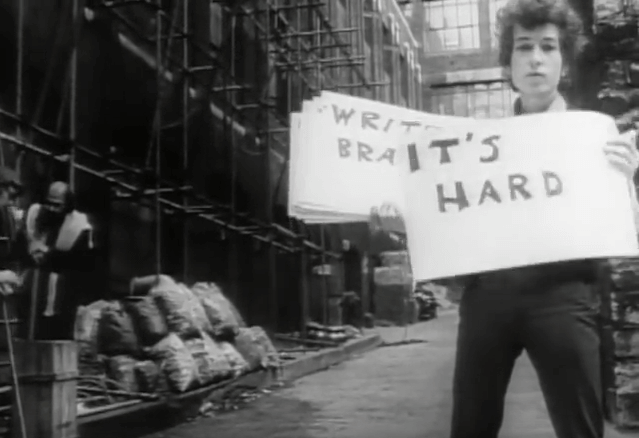 YouTube “Subterranean Homesick Blues” by Bob Dylan. I’m not sure anyone deserves a Nobel because I’m not sure exactly what the Nobel is for—its criteria are notoriously secret or frankly nonexistent. It started off trying to reward literature that was “idealistic”, which rapidly became irrelevant in the age of Modernism, and in recent years has seemed to try mostly to bring deserving non-American writers to the attention of the global media. In popular conception it seems to represent “the best literature in the world” which is something really difficult to define across a couple hundred languages and a few dozen genres. No group of eighteen Swedes, no matter how well-read, is going to be able to truly grapple with that. I myself enjoyed their predilection, though, in recent years, for the subtle and cerebral. They have made a choice here to reward both the American and the popular—almost as if to underline a view that popular culture is the most powerful US export. Perhaps that is their statement. Having said all that, I do not think that Bob Dylan’s words, even when sung, are as strong as the dense, complex and delicate poetry of previous laureates. This is a prize that has rewarded poets like Derek Walcott and Eugenio Montale and Thomas Transtromer. Dylan is not in their league. I don’t know that one has to separate the lyrics from the music to understand Dylan’s songs as being literature or great art. In his best songs, they are intertwined: lungs and heart, leaves and roots. Lyrics are not necessarily poetry but when connected to music, it is another kind of literature. Also: popular art is art. It’s rare that the Nobel Prize goes to the type of literature I adore, the one with lines: poetry. Dylan’s award puts the great poetic song tradition in the spotlight. Though I love the acknowledgment that a lyric image and lyric rhythm goes to the beating heart of culture, my spirit can’t quite soar. I am exactly of Dylan’s generation, and I haven’t followed his work, but I remember him strongly from what beats at the heart of some of his beautifully constructed songs: the retrograde pulse of misogyny. So, I had a bit of a Stevie Smith reaction to this announcement. She’s the woman office worker poet who wrote the refrain, “not waving, but drowning.” Yes for the lyric! But, uneasy about Bob. No one can argue Dylan isn’t a beautiful writer. (Whether his work is “literature” or not, I’ll leave to the experts.) That said, everyone already knows who Dylan is. The Nobel Prize has the power to elevate international writers whose books many would never normally read. We’ve missed out on learning about a new name and a new body of work. And given that only forty-nine women have ever gotten a Nobel Prize (compared with more than 800 men), and not a single one was awarded this year, this is yet another glaring missed opportunity. Tolstoy, Chekhov, Proust, Joyce, Virginia Woolf, Nabokov, Auden, Borges, Achebe . . . you get the picture? It would be ridiculous to look for any direct, linear logic to the Nobel Committee’s decision-making process, much less to bemoan the latter’s lack of coherence or integrity: those just are not the terms applicable to the situation. The Prize in essence has long been a signal occasion for the world at large to celebrate or discover lifetime’s worth of work by some famous or, conversely, relatively (or almost completely) obscure writer, poet or playwright. Today’s decision expands the scope of that custom. The lyrics of Dylan’s songs aren’t poetry? By whose definition? Are they not literature? I for one believe his “non-poetry” is poetry of a high order. There are, obviously, a number of eminently and perhaps more deserving writers/poets/playwrights out there. But that’s the way it’s always been, from the very outset. Today the award went to one of the greatest American and international cultural icons of the last half-century. I am perfectly happy with that outcome. I’ve been amused by the cries of “Judas!” from the literary faithful over Nobel going electric. Few writers have had so many brushes with the sublime; Dylan’s best work is complex, mythic, aphoristic, erudite, challenging, incisive, counter-cultural, generous and, most importantly, beautiful. His influence—not just on the humanities, but on humanity itself—has been immeasurable. I can only assume that anyone dismissing Dylan as overrated or irrelevant stopped listening way back when he plugged in at Newport. Undoubtedly one of the most influential songwriters of our time but what Dylan produces isn’t literature according my understanding of the definition of the term. For those who say that his lyrics are poetry I believe that stretches the definition of poetry too far. Poetry may carry a lyrical quality, but what defines poetry is that it embodies musicality in the language itself. Dylan’s lyrics, in my estimation do not achieve that level of craft or quality. The finest poetry, and presumably that is what the Nobel Prize is meant to recognize, has no tolerance for the imprecision, loose imagery, and careless structure that one finds in Dylan’s lyrics. They work in the context of a song but does not have the self-contained integrity implied by poetry as literature. Dylan winning the Nobel Prize in Literature is either a shift in the definition of the prize, or emblematic of a reductive trend in the arts as boundaries between ‘high’ and ‘low’ (or popular) art begin to vanish, or indicative that literature no longer carries the cultural authority it once did. Dylan was the stone the Nobel Committee decided to throw at Donald Trump. He stands for an America that we all prefer. The decision has little to do with literature. Remember that this is the organization that honoured Pearl S. Buck but not Leo Tolstoy or Willa Cather, William Golding and not Graham Greene, Evelyn Waugh, Muriel Spark, or Geoffrey Hill. If this was the year for a winner working in English, I cannot believe that Dylan, despite some very good songs, is a better writer than Marilynne Robinson or Philip Roth. It is a Nobel lapse. They happen frequently. What has he won? The same thing every winner wins. Approval. Are Dylan’s songs poetry? Flip. Maybe what poets have been writing is not poetry. Or maybe the root of the problem is that poets have been writing to the wrong audience. His win marks the triumph of the popular over the esoteric. His position among contemporary musicians is akin to a poet’s place among writers—influential, respected, but not central. Who has a more recognizable voice than Bob Dylan? Bravo to the Swedes, I say, for acknowledging how most of the world has come to poetry for the last several decades: through music. Dylan’s words are no less poetic for being written to be sung, and they have reached millions of ears and eyes with no sacrifice of language’s magical properties. My only worry now is that some unspoken quota system might keep Leonard Cohen from receiving this same prize in his lifetime. Oh, and Chronicles Volume One was damn good, too. I’m not a big fan of Dylan’s music but he’s been a huge influence on some of my favourite contemporary poets. No doubt his role as an agent for social change should be celebrated and I respect the fact that he’s a powerful songwriter whose words have touched, if not transformed, the lives of many. It rankles a little with me, though. Without music his lyrics on the page aren’t quite as impressive. His book of poetry, Tarantula, was pretty tepid. I can think of a half-dozen brilliant, profound writers who I would rather have seen win the award, but I ought to at least commend the committee’s free-spiritedness. Originally given to the author who produced “in the field of literature the most outstanding work in an ideal direction” (from Alfred Nobel’s will), the Nobel prize in literature is now judged on its literary merit as well as its political impact (the work’s propagation of idealism). So, as much as it hurts (and it hurts—a lot) to think of all the other 2016 nominees whose literary merit is way above the floppy boomer King’s, who himself said, “I can’t sing, half of the time I don’t even say real words, I just mumble, and my lyrics make no sense,” he, perhaps, fulfilled the criteria. But the prize should’ve been awarded to Jay Z (same justification applies) who wasn’t even nominated; and no, I’m not being flippant. I wonder if Dylan thought he was contributing to the world of literature all this time. I bet he didn’t, and neither did I, unless we have changed the definition of literature. No doubt he is a cultural icon, who has written songs that are meaningful to many people. But at a time when the death of the novel and the death of poetry are regularly predicted, I would have liked to see this honour go to someone who has spent a lifetime trying to keep them alive. If only the Nobel Prize had a category for music, so that Swedish Academy could have awarded Dylan its prize without making song lyrics compete with books. Songs and music have a reach that novels and books of poems never will, so I don’t think it’s quite fair to give arguably the world’s most prestigious literary award to writing that is almost never required to stand on its own. Dylan’s lyrics are invariably supported by his melodies, accompaniment, and scraggly performing persona. But the nominators for the prize come from only four communities: members of the Swedish academy, professors of literature and linguistics, previous winners of the Nobel lit prize, and the presidents of societies of authors. If all those folks want to give Dylan the prize for “having created new poetic expressions within the great American song tradition,” then I’ll give them the benefit of the doubt. I assume they’re recognizing the achievement of literary sensibility in songcraft, and are pointing people to the great wordsmithing in Dylan’s jam. See how he didn’t call himself a poet there? While at the same time making you bow before the simple brilliance of that last line? It’s not just that the lyrics—when isolated from his iconic drone, from the ironic bleats of his harmonica—have none of the density of real poetry. It’s that they gave the Nobel to the wrong Dylan. By “wrong Dylan,” I mean the literary Dylan, the serious Dylan, the Dylan who, as the press release assures us in perishable prose, “created new poetic expressions within the great American song tradition.” (In the background, as I type this, ABC News is perpetrating more perishable prose, including phrases like “anthems for the civil rights movement” and “defining a generation.”) But the right Dylan—the best Dylan—would never attract a Nobel. This is the Dylan who cut Woodstock a wide swath, who jolted his first fans, the self-righteous folk purists, out of their safe space when he went electric. This is the Dylan of concision and melody, the author of economical punk (“Outlaw Blues”), delirious pop (“I Want You”), stirring blues (“It Takes a Lot to Laugh, It Takes a Train to Cry”), and one perfect Beatles parody (“4 th Time Around”). Put another way, I like Dylan for all the wrong reasons, and I like very little of him. I find myself skipping the self-consciously poetic epics like “Mr. 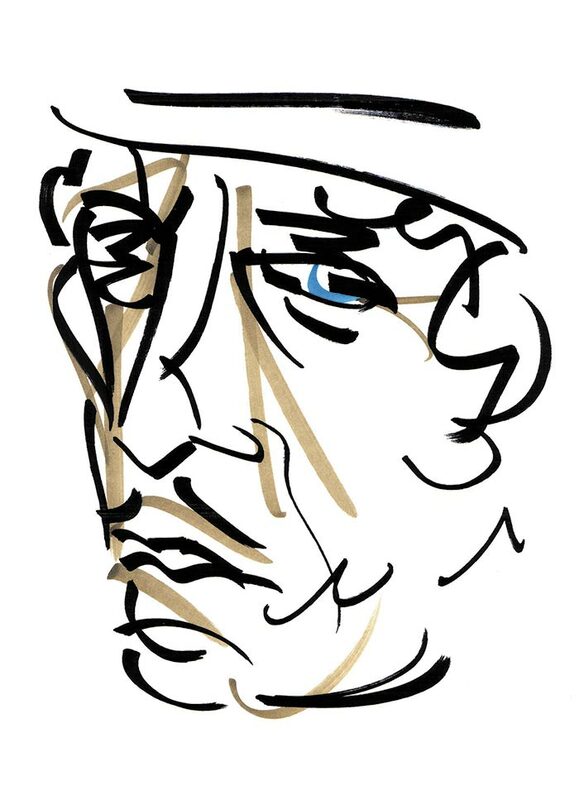 Tambourine Man,” “Visions of Johanna,” and “Sad Eyed Lady of the Lowlands.” Beyond the five-minute mark, with yet another verse of surreal, portentous images on the way, Dylan’s songs lose their grip on me. But I imagine that’s about when they grab hold of Dylanologists—or Nobel committee members. Before I’d fully woken up, my husband told me who had won the Nobel Prize for Literature and said writers were going to be pissed off. My dreamy brain juggled that name for a few moments and caught the only possible Dylan as a winner: Dylan Thomas. I wondered, briefly, how they could give the prize posthumously (and to someone who wasn’t even a contender!) but I wasn’t pissed off. Dylan Thomas wrote some of the greatest poems of the twentieth century, and (truly) sang a new music out of the English language. Then I got it. Bob Dylan? But he doesn’t even write literature, in its actual as well as its classical sense. The answer is blowing in the wind. Or knockin’ at heaven’s door. Good grief. Even Europe is kicking all the obscure, enormously gifted writers in the teeth now: I thought that only happened in North America. Like English itself, and Popular Culture, the plague is spreading. Who needs to honour writers, who labour in service to their art through obscurity and poverty, when the Nobel Committee can award already famous wealthy people with more fame and wealth? I hope Madonna wins next time. Her career really needs a boost, and Taylor Swift—a brilliant pop singer-songwriter—is still too young. The first book of poetry I owned, I stole from my mother: Beowulf to Beatles, an anthology that blended song lyrics of the day (it came out in 1972) with work by contemporary and canonical poets. She had already photocopied her favourites from the book for me and Dylan’s “Lay Lady Lay” was in that folder. I read it over and over, long before I ever heard the song itself. It’s actually one of his most direct songs, lyrically speaking; I now prefer the songs with more complex syntax, but the point is, it worked for me on the page. Sure, I was twelve. But I love it still. As a performer, an inhabiter of image, and an alchemist with language and sound, he was a poet to me. I also think it’s an interesting choice, because I can’t think of anyone else who might have won this year who would have so many thinking and talking and even arguing today about what poetry is and what it can be or should or shouldn’t be. What a gift. I would love to have seen someone like Alice Notley win, but this is interesting too. These days, poetry is something that happens in small rooms and Bob Dylan plays arenas. I find it hard to hear poetry in those spaces, but I admire the skill it requires to take it there. Were the ’60s really so special? What will we lose if Bach and Beethoven disappear from our schools and concert halls?